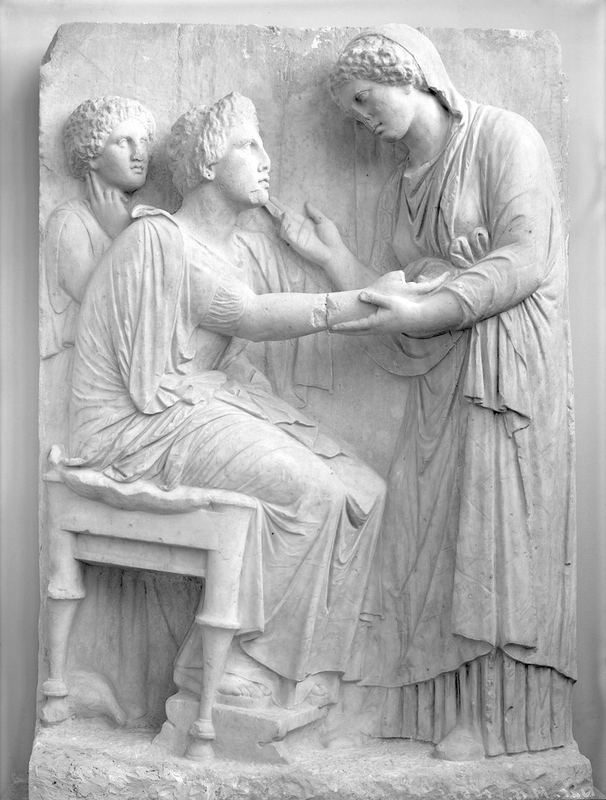 The farewell, a grave stele found near Omonia Square in Athens, from the National Archaeological Museum of Athens, (ca 350-324 B.C). Elena Walter-Karydi (Athens) will give a lecture entitled “Goethe und die attischen Grabreliefs der Klassik”. Rolf Michael Schneider (Munich) will present her book “Die Athener und ihre Gräber (1000-300 v.Chr. )”.